297 Years is Missing -  An epic journey of new discovery so fantastic that our natural instinct would be to block it out. missing links, bluff, hogwash, disdain, suppressed conclusions. This web page will give us some facts and information for our understanding. Were the Dark Ages Faked? Mysteriously on this subject no English books are available, but many in other languages. No wonder the Dark Ages were so dark—they didn't really exist. The years between 614 and 911 never happened, yet due to some suspicious mathematical manipulation, they have been included in the Western calendar. To cover up the time shift, three centuries of fictional events and nonexistent figures like Charlemagne have been squeezed into the historical record. Reset your watches: We're actually living in the early 1700s. The idea Time" was first proposed in 1991 by a German historian named Heribert Illig and his colleagues. They claim that unexplained gaps in the archeological and documentary record confirm their hypothesis. So how did 297 empty years suddenly appear? The prime suspect is Holy Roman Emperor Otto III, who is commonly thought to have lived around 1000. Not so, say Illig and Co.: He actually lived around 700 but wished he lived at the time of the first millennium, so with the help of Pope Sylvester II, he added 297 years to the date. 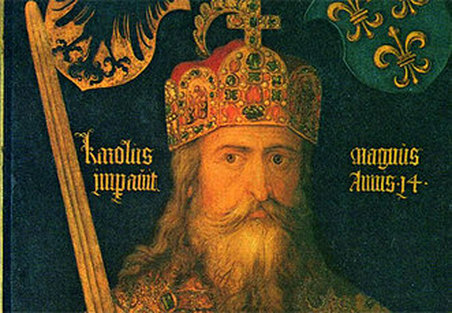 To help cover his tracks, he invented a convincing story about an eighth-century Frankish emperor named Charlemagne. Needless to say, historians aren't convinced that a large chunk of the Middle Ages were faked. The Phantom time hypothesis is a theory developed by Heribert Illig (born 1947 in Vohenstrauß) in 1991. It proposes that there has been a systematic effort to make it appear those periods of history, specifically that of Europe during Early Middle Ages (AD 614–911) exist, when they do not. Illig believed that this was achieved through the alteration, misrepresentation and forgery of documentary and physical evidence. When Dr. Hans-Ulrich Niemitz introduces his paper on the “phantom time hypothesis,” he kindly asks his readers to be patient, benevolent, and open to radically new ideas, because his claims are highly unconventional. 3) The purveyors of this hypothesis are not crackpots. The Phantom Time Hypothesis suggests that the early Middle Ages (614-911 A.D.) never happened, but were added to the calendar long ago either by accident, by misinterpretation of documents, or by deliberate falsification by calendar conspirators. This would mean that all artifacts ascribed to those three centuries belong to other periods, and that all events thought to have occurred during that same period occurred at other times, or are outright fabrications. For instance, a man named Heribert Illig, one of the leading proponents of the theory, believes that Charlemagne was a fictional character. Our Christian chronology is based on the calendar correction of pope Gregorius XIII. In the year 1582 10 days were skipped in order to synchronize the astronomic circumstances with the calendar. This correction did not take into account the mistake which had accumulated in the Julian calendar since the time of Julius Caesar (45 BC). It only corrected the mistake that accumulated since 300 A.D. Specialists claim, that Gregorius refers to the council of Nicea (325 AD). At this council was either the calendar corrected or at least the equinox fixed to the 21st of march. But there is no evidence for this; all facts argue against it. So the time between pope Gergorius XIII and Julius Caesar seems to be 300 years shorter than originally presumed. According to the thesis of Heribert Illig 297 years of fictious history have been inserted. For a fictious period of time - according to Illig from 614 to 911 - there cannot be authentic evidences. These centuries are also called the "Dark Ages" anyway for the historical deliveries are as rare as the archeological findings. Today we do not find any proof of colonization during the early Middle Ages in originally Roman cities. The historical sources are by no means contemporary, but have been written centuries later. Hundreds of Byzantinian towns seem to have been uninhabited during this time. The findings in Islamic Spain do not begin in 711 with the Islamic conquest but not before the early 10th century - and so on. If Heribert Illig's thesis is right, there must not be a single serious finding from that period of time. Therefore the rest of the findings dated back to this time had to be examined in detail. What stroke Illig was that hardly any of more than 1000 building mentioned in documents could actually be found. The Pfalzkapelle (a huge chapel said to be built by Emperor Karl) - the landmark of Aachen - is the most famous building of the questioned time. It has a huge arch which is not likely to exist without any predecessors or successors. The development from the ability to build small arches to build huge arches cannot be duplicated. According to Illig´s argumentation that has not been disproved yet this building does not belong to the "Dark Ages". Another example is the "Torhalle" of Lorsch, which would then be dated in the early 12th century in spite of 770 or 870 A.D. The few other churches of the Carolingian era would also fit well into the Ottonian times. The Carolingian book paints are in truth also Ottonic and can therefore hardly be distinguished from the artwork of this time. There are a lot of findings of graves in Middle Europe. Their ages cannot be named in absolute dates, but only in relation to each other. But the obvious succession wasn’t spread over 200 years, but - according to the conventional chronology - over more than 400 years. Doing this, a decrease of population in the 6th century and a still unexplained explotion of population around 1000 A.D. were created. A lot of research results show that the three centuries and their history can and must be cleared out. This is applicable for the whole Old World from Iceland to Indonesia. Who has Advanced the Clock? The emperors Constantine VII and Otto III and pope Sylvester II are the initiators. Emperor Otto III (emperor from 996 to 1002) wanted to be Jesus Christ’s representative on earth at the dawn of the 7th millennium. The pope (999 to 1003) who was enthroned by Otto supported him with his knowledge of Arabian astronomy and mathematics. Otto’s mother came from the Byzantinian court, which explains the relations to the Byzantinian dynasty. There, three "empty" centuries could be used well. The Persians had stolen the most important Christian relic, the cross of Golgotha in 614. Only within the fictious time could the return of the relic be explained. The changing of chronology was concealed by additional arrangements. Changing the reference point of the chronology made sure that only initiated persons could know that manipulations "in the name of god" had taken place. The Byzantinian changed from 1015 seleucidean era to 6212 after the creation of the world. The Christians in the western part of the world changes from the year 419 in the era of martyrs to 1000 years after the birth of Jesus Christ. The Jews followed them and changed from 1015 seleucidean era to 4464 after creation. Up to now it could not be explained why all cultures of Europe changed their chronologies all at the same time, but on the quiet. The invented but still empty centuries had to be filled with history. So Otto and Sylvester made up stories and a very big emperor Karl. Otto could refer to him as well as the pope, who had enthroned and anointed him emperor. This Karl got his coronation on the 25 December 800 AD, a day that was determined 497 years earlier to be the last day of the world. So Karl fulfilled the same conditions as Otto III - and now we understand why his (fictious) contemporaries did not jubilate or show any fear. Karl’s coronation was supposed to be inferior to the Millennium-Emperor Otto. It gets understandable why the beginning of the year 1000 did not cause any fears: As the change of chronology took place very shortly before the target day, there was no time for any end-of-world moods. From Otto III to Friedrich II, the figure of Karl got more facets than a real person would ever have had. At other places other stories appeared, such as the fairy tale about (the fictitious) Harun al-Raschid. In this way, the middle Ages partly invented themselves. Only with this bold thesis the contradictions between buildings, findings and documents disappear. Professor Badiny, Jós Ferenc, and other Esteemed Scholars. This material deals with religious beliefs. We realize, the information presented here is not for everyone and some might find it unpalatable. We do not wish to offend anyone and, therefore, urge those who feel uncomfortable reading it to stop. We are students of an ancient culture founded on knowledge and wisdom. We are neither priests nor missionaries; we do not represent any organized religion nor claim knowledge of “the truth;” and we do not propagate dogma. Also, we neither solicit nor accept donations. Those interested in furthering this work are encouraged to continue this research, individually or in groups, and to freely share their knowledge with others for the elevation of Mankind. Events reported to have occurred during the 5-10th centuries referenced in this study take into account possible chronological errors and misrepresentations. We believe the errors, if any, stem from the simultaneous use of three different points of reference: 323 BC (year of rebirth after the death of Alexander of Macedon), 45 BC (1st year of the Julian calendar), and year 1 (presumed to be Jesus’ year of birth, retroactively applied after the 5th century). It would certainly have been in Western European interest, notably the Holy See and the enforcer of its policies, the Holy Roman Empire, to take advantage of these errors, insert non-existent periods into history filled with fictitious protagonists and events for political gain, and to hide historical events that are not only unfavorable to the West, but would also expose such chronological fraud. Chronological research to date reveals that the 44 years needed to slide the calendar forward to Jesus’ presumed year of birth were taken from Attila’s reign (Tóth, Gyula citing Magyar Krónikák), while 297 non-existent years appear to have been added to the calendar, pushing the years forward. Heribert Illig’s argument supporting such “chronological fabrication” (614 – 911), however, appears to be somewhat narrow and simplistic. Nevertheless, his conclusions appear to be at least plausible. To date, no physical evidence of this period has been found: There are no remains of settlements, no coins, no tools, no graves, as the matter of fact, no evidence of any kind of human presence that can be irrefutably linked to this fictitious era. The 7-9th centuries exist only in “written history,” and all so-called “historical documents” regarding these 297 years examined to date turned out to be retro-dated forgeries. Further, any so-called “evidence of the Dark Ages” is fragments dissociations, discontinuance and events known to have occurred before or after that era. Pragmatic history, on the other hand, shows an unbroken natural progression of 6th century events which seem to jump over these three centuries and seamlessly continue during the period purported to be the 10th century. Further, Uwe Topper presents convincing arguments that link Muhammad’s escape to the First Council of Nicaea in 325, exactly 297 years before the propagated year, 622. Unknown reason No English books are available! German Books by Heribert Illig, Das erfundene Mittelalter. Die größte Zeitfälschung der Geschichte. International Literatures and Studies on the 297 Years Missing. Gerd Althoff (1997): Kann man eine Hochkultur erfinden? In: Ethik und Sozialwissenschaften 4/1997, 483 f.
Gunnar Heinsohn (2003): Krojer und die Auschwitzleugnung. In: ZS 3/2003, 516 f.
Dieter B. Herrmann (2000): Nochmals: Gab es eine Phantomzeit in unserer Geschichte? In: Acta Historica Astronomiae Bd. 10. Paul Kunitzsch (1974): Der Almagest. Die Syntaxis Mathematica des Claudius Ptolemäus in arabisch-lateinischer Überlieferung. Paul Kunitzsch (1975): Ibn as-Salah: Zur Kritik der Koordinatenüberlieferung im Sternkatalog des Almagest. ghw.uni-muenchen.de/KuK.html, www.phil.uni-passau.de/histhw/bibliographie/3c.html, /3b1.html, /3b2.html und /3a.html. ZS = Zeitensprünge. Interdisziplinäres Bulletin (vorm. Vorzeit-Frühzeit-Gegenwart). Mantis Verlag, Gräfelfing.